You are here: Home / Music Industry FAQs / What Does EP Stand For In Music? Definition & More Revealed! What Does EP Stand For In Music? Definition & More Revealed! EP stands for Extended Player. Read on to find out exactly what an EP is, what it stands for, and what you can do with one. What Is An EP Album In Music? How Many Tracks On An EP? What Formats Do EPs Come In? Who Can Make An EP Album? How To Sell An EP, And Can You? 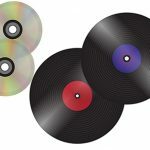 How Do EPs and LPs Differ? A EP album is a collection of songs by a musician which is used to raise awareness of their talent. It’s usually longer than a single (hence the word ‘extended’ in the EP definition ‘extended player’), but shorter than an album. Ok, so how many tracks should be on an EP? While the amount is really up to you, the average amount of tracks is usually between 4 and 6. I’d personally recommend you stick to 4 if you’re planning on giving away your EP as a reward for people signing up to your mailing list (a must do for any musician). If however you’re planning on selling your EP CD, you want to give people value for money, so go with 6. While traditionally EPs were vinyl, now they are also released as CDs, digital download EPs, and can be any other format you want. The important thing which makes an EP is the amount of tracks and release style. An extended player can be made by any type of musician. It doesn’t matter if you sing, rap, produce beats or play an instrument; you can make a ep. Read on to find out how to do this, as I’ve written a full step by step guide on the process. So, want to learn how to make your own extended play album? Then check out this guide. In there I’ll show you what making a EP involves, how to do it, and some of the things you can do to make your compilation stand out above the rest. So give it a read. Yes, as long as you own all the music that goes onto your release, you can sell your EP. In fact, you can sell it in pretty much the same way you sell any single, album or mixtape. 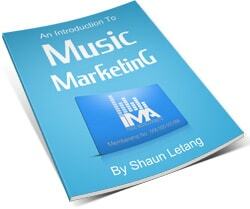 I’ve written guides on how to sell your music online and offline so have a look if that interests you. 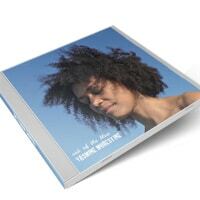 An EP can be sold both in physical format and as a digital download. Just remember though, simply creating an EP isn’t enough to get it sales. You will need to raise awareness of it through marketing, as if you don’t know one will know it exists. This is something I cover extensively here. But the short version is that LPs are a lot longer and serve a different purpose in your music career. I’d encourage you to read that guide for the full low down. So now you know what an EP is, what EP stands for, and what role it plays in the music industry. If you found this information useful, please share it via the social sharing buttons on this page. Also, feel free to ask about anything else you’d like to know about EPs. Thanks. What Is The Difference Between Lp And Ep In Music? Shaun, your articles are always great, educative and very informative. Thanks Frankie. And thanks for all the Tweets you’ve been sharing of outs, like this one about music EPs.